Promoting a better way to move around. With some titanium added. Mike Yap, designer of the famous Cambridge-made Airnimal folding bikes has founded a Seattle-based company with the aim of solving mobility problems for the ecologically conscious people. Seattle Cycles needed to showcase its concepts and solutions to attract manufacturing partners to kick-start larger scale production of highly anticipated line of folding cycles. The job was a cooperation with my old friend Sergii, and we took turns in both providing direction and doing the dirty work. Doing our research into the product field, analyzing the market and lurking on a handful of cyclists forums, we noted which information is the most relevant for the most important groups of our visitors: bike enthusiasts, and prospective partners looking into the company's vision, deciding whether it would be profitable to cooperate on retail and production fronts. We gathered all the info that we decided we would need on the main page and drafted an approximate layout of elements with suggestions for how to present and place them for better visual scannability. Surprisingly only tiniest bits of this initial draft were changed during the rest of the design and development process. 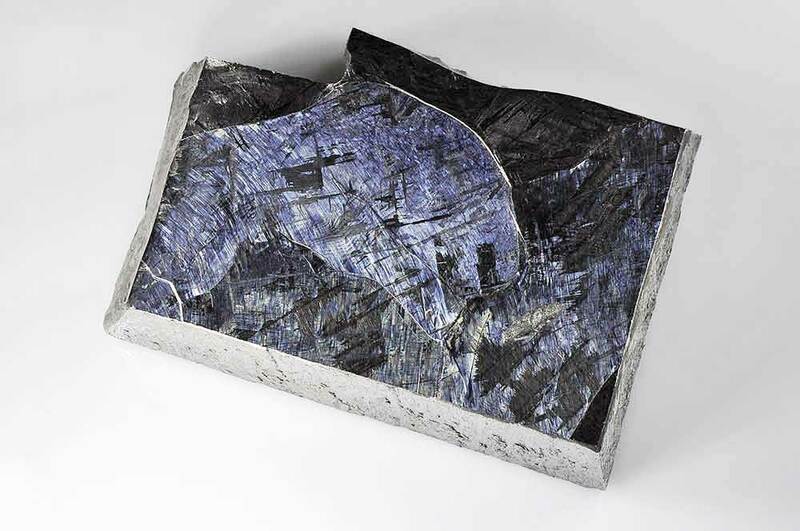 OK, the metal that the cycles are made of is mostly silvery in appearance but the common shade it can take is a bluish one. A lot of whites (and white space to boot), a touch of gray here and there, and some red accents was all we needed to make site look premium, urban, clean, and professional. Fold it! Store it! Roll it! 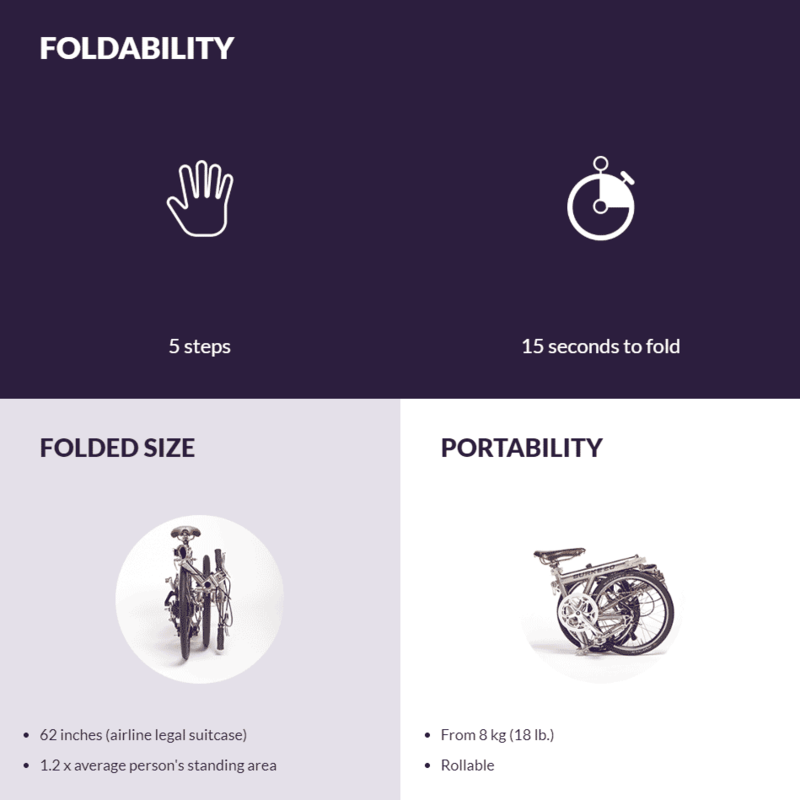 Mike quantified his models with the help of an easy and handy system that stated three main qualities: foldability (which takes into consideration number of steps for a full folding-unfolding of a vehicle), folded size, and portability (which included weight and whether a cycle can be rolled while folded). These three attributes were shown prominently for each model on the very first page so that the most important advantages of each cycle was easy to understand. The image worth a thousand words and moving image is even better. We put a looped video of cycles, seek-bar and all, at the top. The folding cycles need to be compact and to be able to take the beating. We made sure to mention the craftsmanship and reliability. Next, we impressed visitors with the models' portability (I cannot believe how small they are when folded!). We showed short animations of models being prepared for use. I really mean "short" when I say it — the assembly speed is breathtaking. We showcased each model with their important specs and wrapped everything up with updates from the company and call to action block for manufacturers and retailers. All in-depth descriptions of the technology and design principles behind the Burke cycles line were laid out and explicitly expounded in an easy to read and digest manner throughout the rest of the site. The illustrations, photography, and iconography were all used to good measure for better digestibility of content. The models are unfolded and ready for use faster than you can scroll through this section! Unless you are very good at scrolling that is. Last but not least the site is of course optimized to be used on any kind of mobile devices with all important functionality retained. The cycles since went out of prototype stage and secured necessary manufacturing opportunities. They are available through the selected dealers in the USA.